The challenges we face can be difficult even to think about. Climate change, the depletion of oil, economic upheaval, and mass extinction together create a planetary emergency of overwhelming proportions. 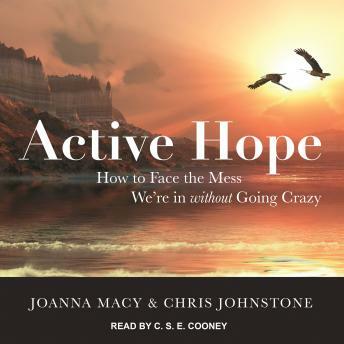 Active Hope shows us how to strengthen our capacity to face this crisis so that we can respond with unexpected resilience and creative power. Drawing on decades of teaching an empowerment approach known as the Work That Reconnects, the authors guide us through a transformational process informed by mythic journeys, modern psychology, spirituality, and holistic science. This process equips us with tools to face the mess we're in and play our role in the collective transition, or Great Turning, to a life-sustaining society.